Iron Transformation, LLC is a locally/owner/family run and operated iron works company in Louisiana with over 10 years experience, we specialize in all facet of metal fabrication, including wrought iron, steel, aluminum, and stainless steel. We are extremely competitive and understand the value of building life long relationships with our customers. We’re committed to providing you with the highest level of service. In Iron Transformation LLC we offer ornamental iron works and custom iron works designs for any type of commercial or residential projects. Our company would be more than glad about helping you with any project you wish to undertake, including but not limited to exterior and /or interior wrought iron railings, handrails, wrought iron front doors, wrought iron gates, steel driveway gates, and steel or aluminum fences. 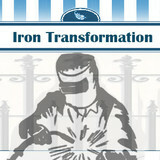 When you choose Iron Transformation, LLC you're choosing the best Iron works in New Orleans. Established in 1991, Country Estate of the South, Inc. set the vinyl fence standard for Baton Rouge Fence. After a few years of selling Country Estate Vinyl Fence Products in the Baton Rouge area, CEOS became a regional office, fabrication and distribution center. 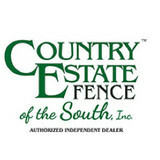 Country Estate Fence of the South, Inc. works directly with Nebraska Plastics Inc. serving wholesale customers in several states and retail customers in South Louisiana and Mississippi. 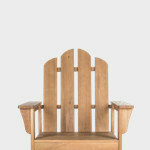 We take pride in providing quality products and service that exceeds customer expectations. We Care. In addition to vinyl we also offer a fantastic selection of Aluminum products that can be custom ordered to fit most needs. This includes fencing and gates. 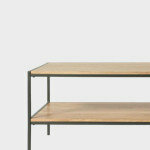 Our aluminum product is powder coated and comes with a 20 year manufacturer warranty against defects. We have a small showroom in Baton Rouge, as well as brochures available upon request. Installation of Wood, Aluminum, Chain link and Vinyl fencing. Your Aluminum Fence and Steel Fence Experts! Since 1991 Northlake Fence Company has been installing the most trusted fencing in the area. We don't use sub-contractors because when you pay for experience you should get experience. 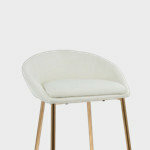 We guarantee our craftsmanship because we control quality. Offer a lifetime warranty on all of our aluminum fence products and go the extra mile for our customers. Please visit our site for more information on our warranties, experience and products. 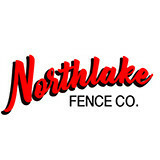 We have hundreds of photographs on our site, northlakepro, for you to get fencing ideas and see the Northlake Difference. We specialize in commercial and residential aluminum, steel, vinyl, wood, chain link and temporary fence installation. 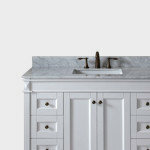 Start with your free estimate, pick a design, get on time installation. Many of our fencing products are covered by a lifetime manufacturer’s guarantee. For existing fences, we offer removal, repair and replacement. A great fence starts with a great design and include free design services. We make sure our customers not only get the beautiful fence they want but one that will last a lifetime. Westside Fence, owned and operated by the Alfortish Family since 1948, is the region’s largest provider of quality fencing and gate products. Located on the Westbank of New Orleans, only 5 minutes from Downtown, we offer commercial & residential installation services and materials sales to contractors & the general public. We have a huge selection of quality chainlink and wood fence products and can help with your aluminum, steel, and vinyl fencing needs. We fabricate custom gates with our in-house welding and offer a full selection of stock gates. Our experienced staff can assist fence layout, design, and construction. As a family-owned and operated business, you can count on us to provide excellent service and superior products. Hurricane Fence New Orleans specializes in all types of fences - Wood, Composite, Chainlink, Ornamental, Sheet Metal, Iron, Aluminum, Electric Gates - New Armless Models. In addition, we specialize in Fence Staining and Deck Staining, Swimming Pools, Spas, Hot Tubs, Decks , Fountains, Outdoor Kitchens, Outdoor Great Rooms, Pergolas, and Fireplaces. Plus, a Full Line of Vaporizers. Contact us today! 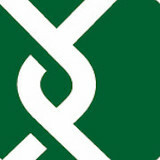 Bailey's Fence Supply has over 40 years experience in the fencing industry. We have put this experience to use in designing vinyl fence and porch rail systems that are installer friendly and have the strength to withstand the test of time. For top-quality fence and deck installation, Contact us today at IMPACT Fence & Deck 504-259-7221, or fill out our online request form for a FREE ESTIMATE. As seen on NewOrleansLocal.com We are a locally owned fence and deck company that understands the unique nature of New Orleans soil subsidence, and will take the necessary steps to insure that your Fence, Deck, or Pergola will be built to last. Impact Fence and Deck takes pride in their workmanship, and uses the best material available. Our fences add privacy, while keeping the children and pets in the yard. Fences also help to block wind and street noise., and can prevent children from getting into the swimming pool. A well built fence also increases a home’s curb appeal and sends a strong aesthetic statement. Creative Iron Works has designed, built, and installed, Gates, Fence, Handrails, that are still currently in use throughout the South Eastern United States, and has sold gates and fencing products via internet website throughout the nation and into neighboring countries. We employ experienced, highly trained technicians on our installation and service crews who will respond to the job site of any CIW INSTALLED jobs for any repairs or warranty work needed. We also employ TOP technicians in the fields of Gate, Fence, Handrail design and installation. Our ornamental products go through a multi stage process of cleaning, inspection, POWDER COATING, and a HEAT CURING PROCESS that insures a tough and long lasting finish. We are a Louisiana-based, licensed, and insured company. Our goal is to assist you in your decision process and help you install what you want. Specialty Iron Works sits in an 18,000 square foot design and fabrication facility that serves all markets in the capital region. Housing the latest in design software and CNC programmable equipment, SIW is capable of small residential jobs or full scale production. "...If you can dream it, we can build it!" Custom Designed Decks and Fences. Privacy, chain link and vinyl fences. Custom designed decks. Your Kenner, LA fence installation and repair professional will work with you to create your ideal fence. Fence installation or replacement. If you are in the market for a brand new fence, a contractor’s services will include walking you through various fence styles and materials, determining a suitable height, ensuring that all fence designs and plans are compliant with Louisiana building codes, and that the fencing meets both your stylistic and security needs as the homeowner. Fences and gates must complement the grade of your property as well as the type of soil you have, so the contractor should always plan around these considerations. Additionally, if you don’t know exactly where your property lines are, he or she can commission a survey for you. Find a fence contractor in Kenner, LA on Houzz. Narrow your search in the Professionals section of the website to Kenner, LA fence contractors. You can also look through Kenner, LA photos to find examples of fencing and gates that you like, then contact the professional who worked on them.